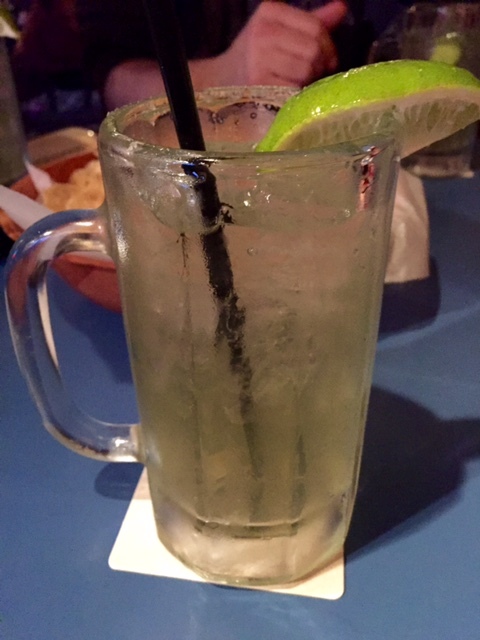 Last week, when we decided to do a margarita review, I was excited – I LOVE MARGARITAS! 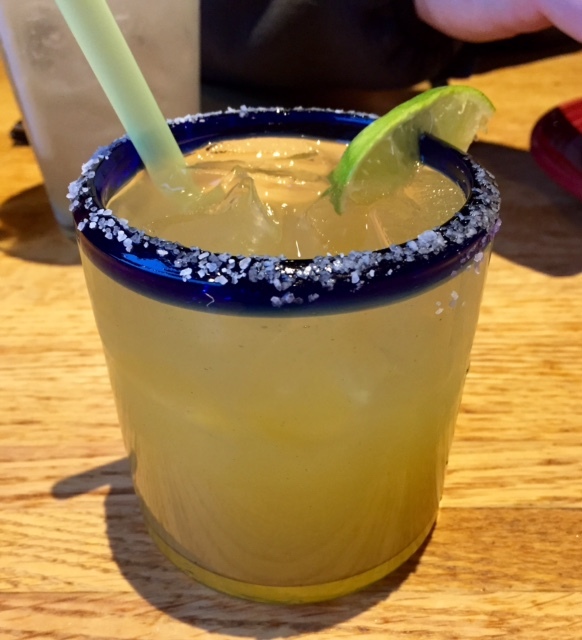 Judging a margarita, however, turns out to be really, really difficult. This was a decent, standard margarita. Sweet and tart without overdoing it. Not syrup-y or thick. The menu boasts a “homemade mix” which I appreciate. All in all, a very tasty drink, but maybe a wee bit on the sour side. Side note – I’m also a fan of the glasses the margaritas were served in, very authentic. 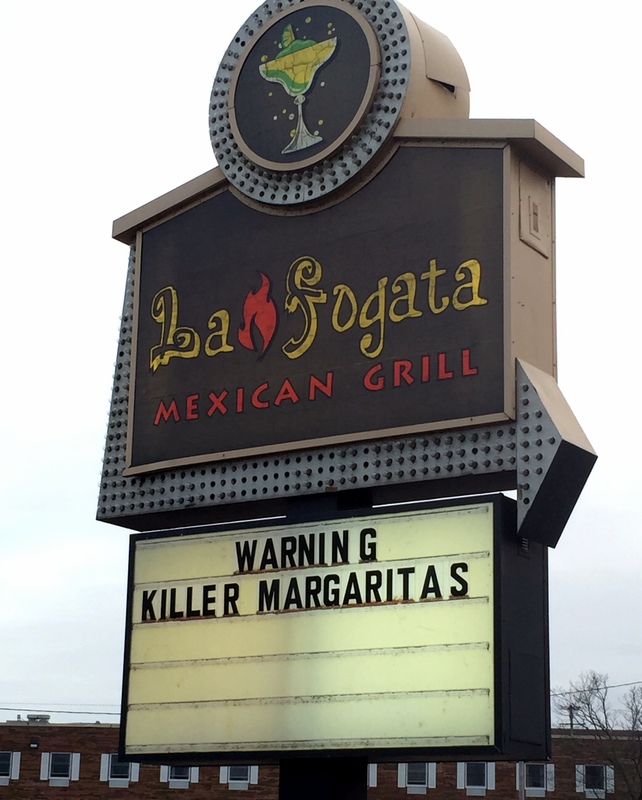 The main difference between our drink at Casablanca and our drink at La Fogata was Casablanca’s was slightly fizzy – not anywhere near as bubbly as a soda, just a slight tingle. I’m not sure if it was an added splash of seltzer water or a lemon-lime soda, but I liked it. It was a nice, refreshing surprise. The bartender also informed us that they also made their margarita mix in-house; always a plus. 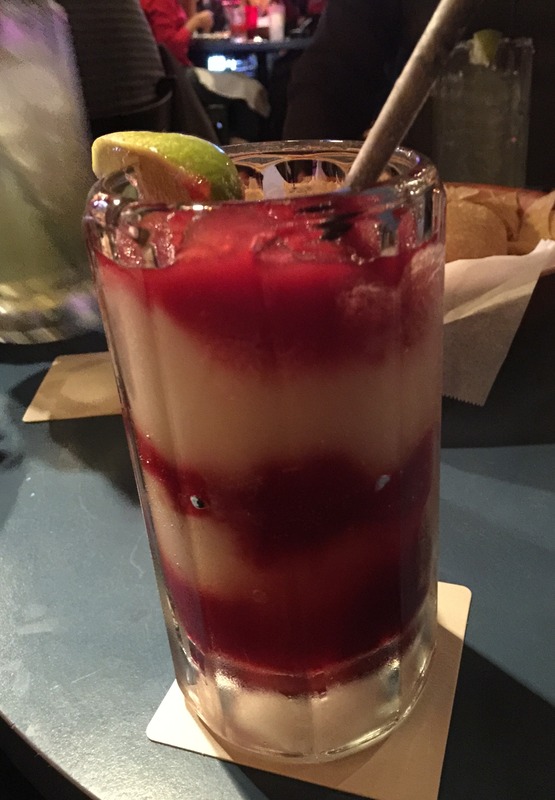 I also liked how the bartender mixed the margarita: he put it in the blender giving it one quick pulse to blend everything together, leaving moderate chunks of ice. Cute glasses too. 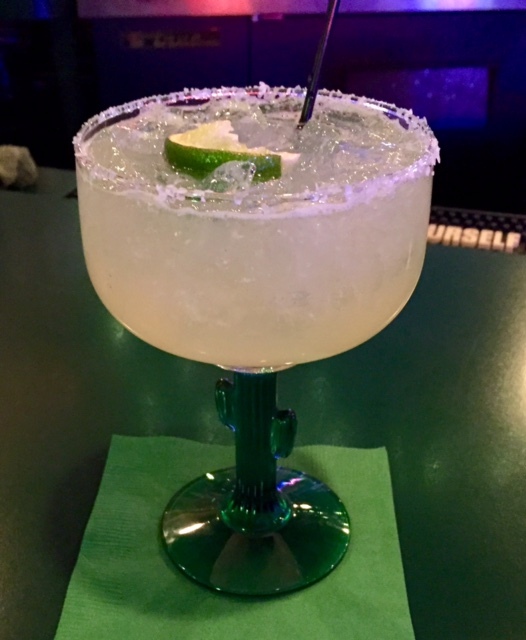 The recipe for a margarita is pretty standard – tequila, orange-flavored liqueur (Triple Sec, Cointreau) and lime juice – variations of that recipe can seem endless. Jose’s Blue Sombrero nailed it and is our favorite.